What is a Triathlon Going to Do to My Body? I have often wondered how the body can actually accomplish such a grueling experience. On a scientific, biological level, it seems very taxing on the body. Which makes me respect and admire people who can actually accomplish such races all the more. The triathletes of the world really are studs! Whenever you exercise, your body becomes inflamed. It’s a natural side effect of working out. Your muscles and other parts of the body become very damaged during an extensive race. But a certain amount of inflammation is unavoidable when you exercise. For instance, anytime your muscles grow, they become inflamed during the process (hypertrophy). During a triathlon, this effect is exacerbated. For this reason, it is crucial to get a proper recovery. If you don’t and you proceed to undergo this same inflammation response, race after race, that’s when the real problems begin. This acute inflammation can eventually become chronic inflammation, and that is when lack of blood flow to tissue, poor mobility, and risk for chronic disease or serious injury set in. Triathlons, especially Ironman races, have a very severe impact on your bowels. Your gastrointestinal system is going to get stressed out to some degree if you compete. This happens to everyone. The side effects most people experience are: stomach discomfort and bloating, nausea, vomiting and diarrhea. What causes this distress? Studies have shown that it’s most likely trying to refuel improperly. The gut can’t process the same types of nutrition at the same speed during intense activity as it can at rest. If you try to drink too much fluid or eat too many foods that are hard to digest while performing, that’s when problems arise. Studies have shown that athletes who take in the most nutrition during endurance events are most likely to suffer gastrointestinal mishaps. You all deserve a chance to relax! 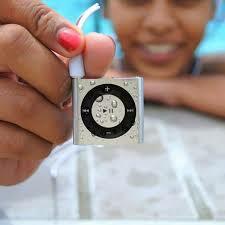 So, grab your Underwater Audio Waterproof iPod and head to the beach or your local pool. And just kick-back and enjoy the warm August sun!